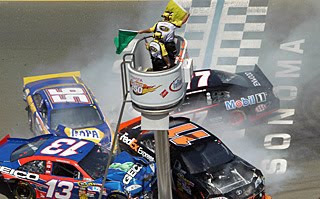 All of the remaining race fans injured from lightning strikes following Sunday's Pennsylvania 400 at Pocono Raceway have been released from area hospitals. A total of 10 race fans were struck by lightning in the Pocono Raceway parking lots after the conclusion of Sunday’s race. One was killed and nine were transported to local hospitals with various degrees of injuries. The tenth victim, Brian Zimmerman, was fatally injured during the storm. Private funeral services will be held on Saturday. Relatives and friends may pay their respects on Friday from 5 to 8 p.m. at the Thomas P. Kearney Funeral Home, Inc., 517 North Main Street, Old Forge, Pa.